After losing to the NU Lady Bulldogs and crashing out of the UAAP Season 81 Women’s Volleyball Final Four race, University of the Philippines seniors Tots Carlos and Isa Molde put a cloud over the Lady Maroons’ future. Molde and Carlos, who both came in in Season 78, admitted that they are still not committed to a return next year. “Secret, next question,” said Molde, a former Rookie of the Year, in her usual playful manner. “Hindi ko po alam. Actually, no comment na lang,” admitted Carlos, the team’s leading scorer for the past three seasons. 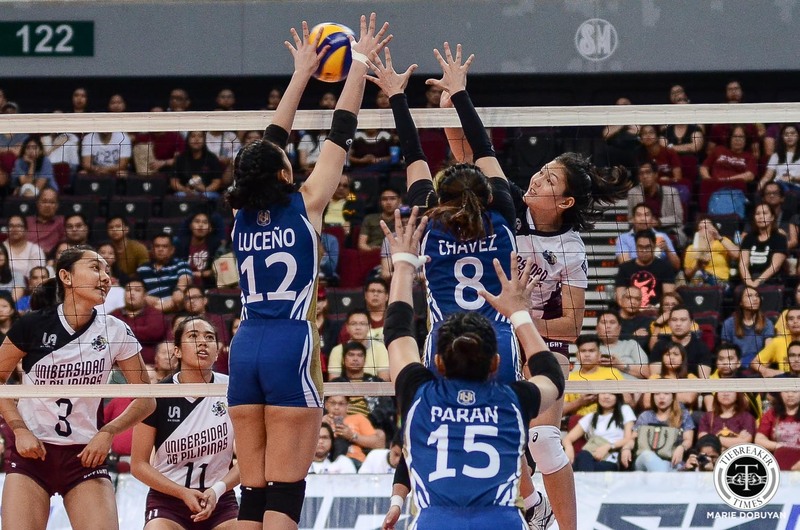 The Lady Maroons – following an encouraging start that saw them have a 5-3 slate – bowed out of the Final Four after losing four of their last five matches. 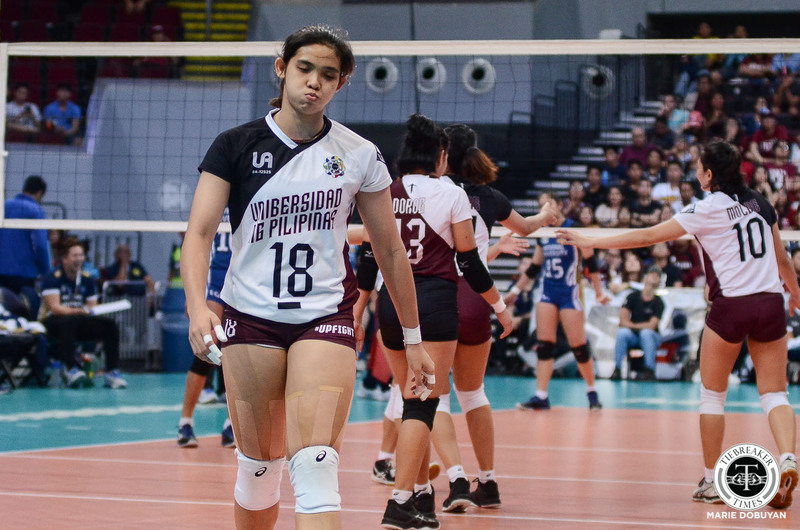 UP are set to lose setter Ayel Estrañero and winger Marian Buitre to graduation. 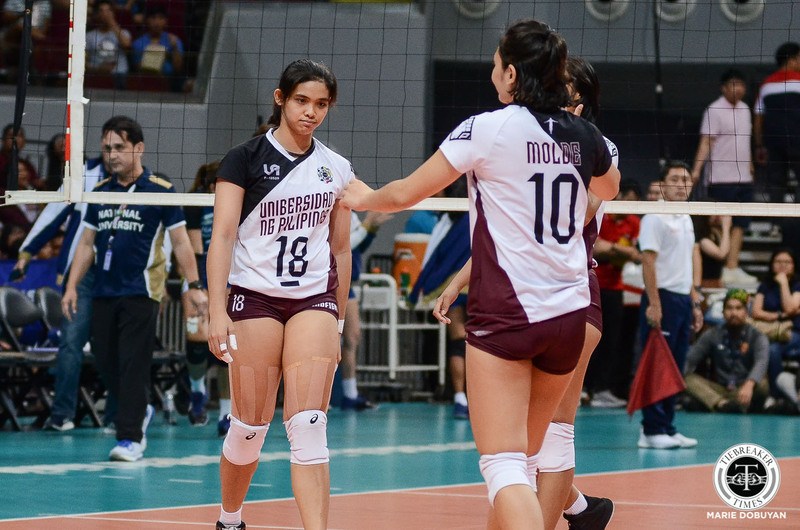 Losing one or both of Molde and Carlos could put the Lady Maroons into an immediate reboot. “Wala na kaming chance, so move on na kami. Tapusin na lang namin ‘yung game namin sa Adamson and then we begin a new chapter,” said Carlos, as UP finish their season on April 27 versus the Lady Falcons. “For me, para sa akin, na-disappoint ako kasi nga parang wala din akong laro. For me, wala din talaga akong laro,” added Molde.